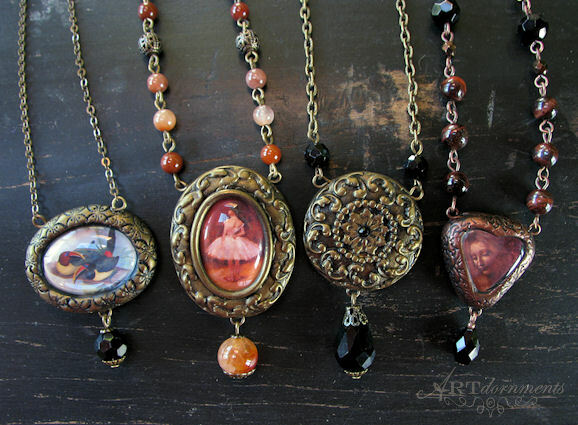 I have an assortment of various new pieces of jewelry on sale this week! 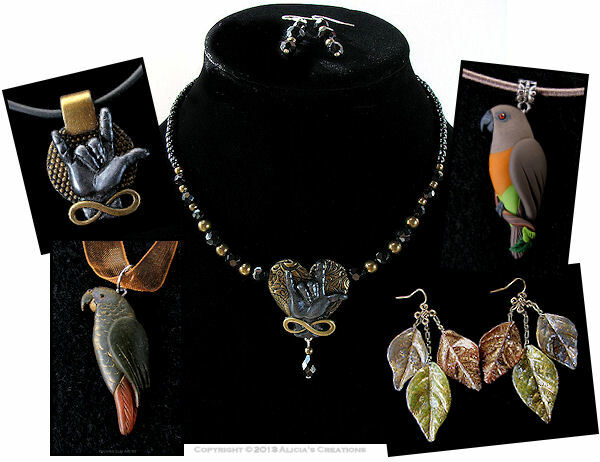 There are two "Infinite Love" necklaces, featuring a hand in the American Sign Language pose for "Love". I was commissioned to create a bunch of these for an event earlier in the year, and made a few extra that I thought I would offer to you too! There are two parrot necklaces, one that was an experiment with a new clay, and looks a bit like an African Grey, with a golden/brown wash. It could be any species that your imagination can see! 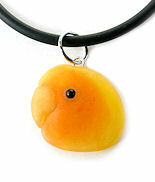 Then there is a Red Bellied Parrot necklace in my "regular" style. While I normally do not use molds with the majority of my work, I recently found a fantastic mold that makes lovely realistic leaves, so I had to give it a try! 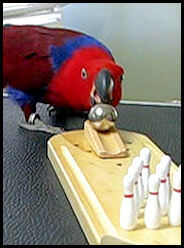 I was so thrilled with the results. I created a pair of earrings with the beautiful lightweight leaves, which are in translucent earth tones with bits of metallic gold. 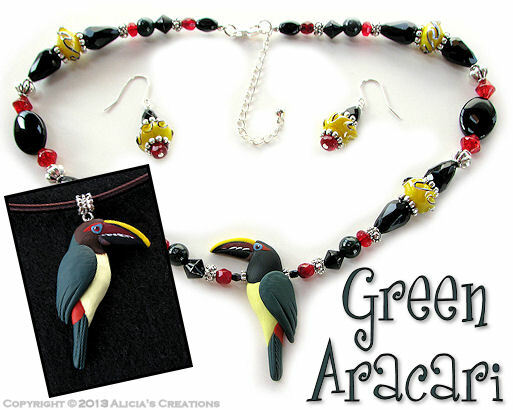 All of the pieces are on auction on eBay and end on Friday: http://www.ebay.com/sch/parrotjewelry/m.html?_ipg=50&_from&_nkw&_armrs=1&_sop=10"